In this era where everything goes online, how you foresee the future? Well, you can see things clearly by purchasing a new pair of glasses, or contact lenses! Online! 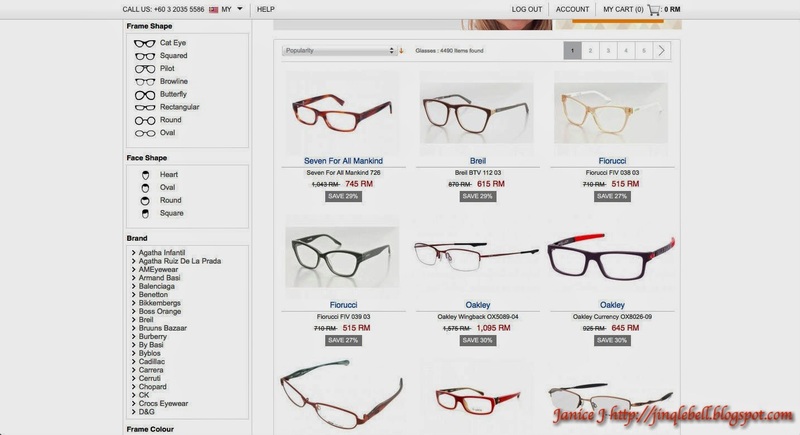 I'm glad that I've got the chance to blog about my shopping experiences with www.glassesonline.com.my. The arising numbers of online shops really got me broke :( Think of my previous online shopping on Guardian e-shop and my new bought hand cream from HiShop.my sales. Now I can't even save money by not going out. 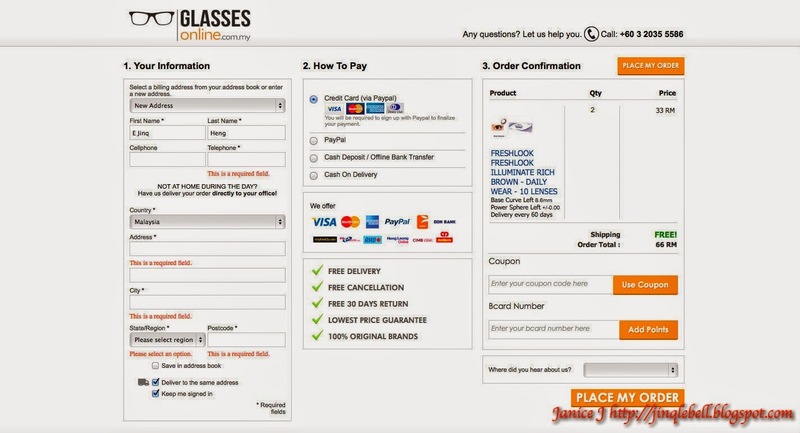 Shop for your glasses and contact lenses are easy with online shop available. They are even considerate enough to put in different kinds of frames and face shapes in the right side filter to help consumers to pick their suitable glasses! Not to mention that glassesonline.com.my offers great deals. 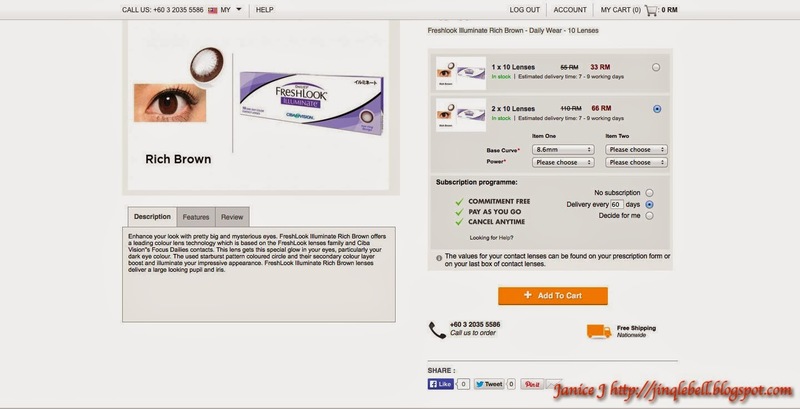 Definitely cheaper than getting your glasses from the store. I personally like the contact lens reminder or subscription service, which means you will never run out of contact lenses anymore! Placing order is easy too, just click in, click the amount and options you want. Note the decide for me option? Just perfect when you don't feel like make any decision. Also, for those who are not a text person, give them a call to make order at +603-20355586. After choosing your products, it will lead to your shopping cart where you can confirm details and key in any discount code you have. Next is the billing details and payment page. So why buy from them? Pssssst! Sign up their newsletter to enjoy RM10 gift card on your purchases! 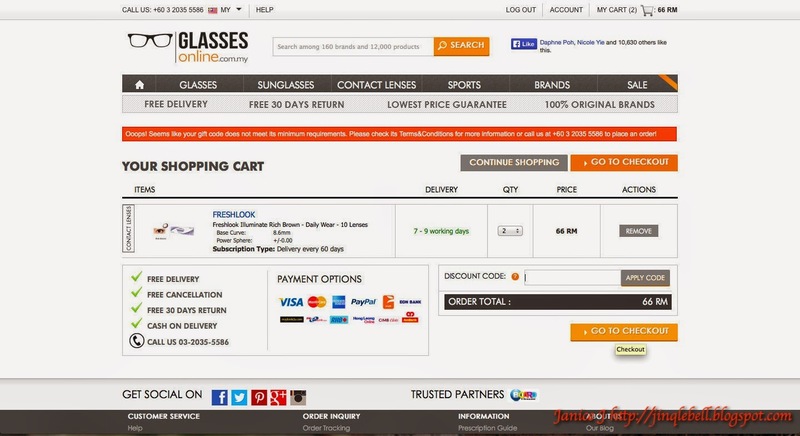 Lastly, thanks glassesonline.com.my for the pleasant shopping experience! I shall blog about the products I received in my next post! Love ya~!